Essex County is a county located in the northeastern part of the U.S. state of New Jersey. As of 2014, Essex County's Census-estimated population was 795,723, an increase of 1.5% from the 2010 United States Census, when its population was enumerated at 783,987, in turn a decrease of 1.2% (9,664 fewer residents) from the 793,633 enumerated in the 2000 Census and making it the third-most populous county in the state, having dropped behind Middlesex County, and one of only two counties in the state to see a decline in population during the decade between 2000 and 2010 (Cape May County being the other). Its county seat is Newark. 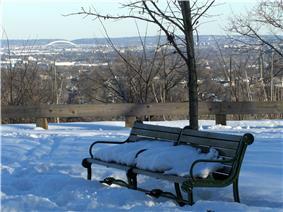 It is part of the New York Metropolitan Area. The Bureau of Economic Analysis ranked the county as having the 94th-highest per capita income of all 3,113 counties in the United States (and the seventh-highest in New Jersey) as of 2009. Like many of the counties of Northern New Jersey near New York City — which tend to have sharp divides between relatively rich suburban neighborhoods and less wealthy, more densely populated cities nearby — the eastern region of Essex County tends to be poorer and more urbanized, while the western parts tend to be more affluent and suburban. Eastern Essex This wide area has significant pockets of high population, high building density, high poverty and high crime rates. Within this general area however are many stable, mixed and middle-income areas of diverse populations. For example, north and west sides of Newark have well-kept suburban areas such as Vailsburg, Newark, New Jersey and Forest Hill, Newark, New Jersey. The east side of Newark is the Ironbound, a working-class Brazilian and Portuguese community. East Orange has the Presidential Estate neighborhood full of large one family homes. Belleville and Bloomfield are suburbs with historic Italian communities that, in spite of retaining a core Italian-American population, now have many immigrants from Latin America and Asia. As of the 2000 Census, 36% of Nutley residents indicated that they were of Italian ancestry, the 12th-highest of any municipality in the nation and third-highest in New Jersey. Beginning at about the turn of the century, this region led the state in the rebuilding and rehab of its housing stock. In the 2000s, Newark led the state in the issuance of building permits. Many reasons were cited: city-wide incentives to encourage construction development, an improving local economy, the rising demand of low-cost housing so close to Manhattan. Newark has since then become one of the fastest growing cities in the entire Northeast. and reported a gain in median income and drop in poverty rate. This is a turnaround from the deterioration and abandonment experienced in the post-riot 1970s, 1980s and early part of the 1990s. While many residents commute to New York City, Anheuser-Busch, Automatic Data Processing, CIT Group, Hoffmann-LaRoche, W. W. Grainger, Dun & Bradstreet and Prudential have large facilities in Essex County or are headquartered there, and there are numerous factories and large office parks scattered throughout. Essex was originally formed as one of four administrative districts within Province of East Jersey in 1675, together with Bergen, Middlesex and Monmouth districts. Essex County was formed within East Jersey on March 7, 1683. The county was named in honor the English county of Kingdom of Essex, one of the historical kingdoms of England. When the provinces of East Jersey and West Jersey were combined in 1702, the county boundaries were retained. According to the United States Census Bureau, the county had a total area of 129.631 square miles (335.74 km2), including 126.212 square miles (326.89 km2) of land (97.4%) and 3.419 square miles (8.86 km2) of water (2.6%). At the 2010 United States Census, there were 783,969 people, 283,712 households, and 189,236 families residing in the county. The population density was 6,211.5 per square mile (2,398.3/km2). There were 312,954 housing units at an average density of 2,479.6 per square mile (957.4/km2). The racial makeup of the county was 42.59% (333,868) White, 40.88% (320,479) Black or African American, 0.39% (3,056) Native American, 4.57% (35,789) Asian, 0.04% (286) Pacific Islander, 8.38% (65,687) from other races, and 3.16% (24,804) from two or more races. Hispanics or Latinos of any race were 20.30% (159,117) of the population. There were 283,712 households, of which 33.2% had children under the age of 18 living with them, 40.1% were married couples living together, 20.6% had a female householder with no husband present, and 33.3% were non-families. 27.7% of all households were made up of individuals, and 9.4% had someone living alone who was 65 years of age or older. The average household size was 2.68 and the average family size was 3.29. In the county, 24.9% of the population were under the age of 18, 9.5% from 18 to 24, 28.6% from 25 to 44, 25.6% from 45 to 64, and 11.5% who were 65 years of age or older. The median age was 36.4 years. For every 100 females there were 92.1 males. For every 100 females age 18 and over, there were 88.6 males. Essex County's constitutional officers are County clerk Christopher J. Durkin (2015), Sheriff Armando B. Fontoura (D, 2015) and Surrogate Thomas N. Stephen, II (2016). Four federal Congressional Districts cover the county, including portions of the 7th, 8th, 10th and 11th Districts. New Jersey's Seventh Congressional District is represented by Leonard Lance (R, Clinton Township). New Jersey's Eighth Congressional District is represented by Albio Sires (D, West New York). New Jersey's Tenth Congressional District is represented by Donald Payne, Jr. (D, Newark). New Jersey's Eleventh Congressional District is represented by Rodney Frelinghuysen (R, Harding Township). The county is part of the 26th, 27th, 28th, 29th, 34th and 40th Districts in the New Jersey Legislature. For the 2014-2015 Session, the 26th Legislative District of the New Jersey Legislature is represented in the State Senate by Joseph Pennacchio (R, Montville) and in the General Assembly by BettyLou DeCroce (R, Parsippany-Troy Hills) and Jay Webber (R, Morris Plains) and  For the 2014-2015 Session, the 27th Legislative District of the New Jersey Legislature is represented in the State Senate by Richard Codey (D, Roseland) and in the General Assembly by Mila Jasey (D, South Orange) and John F. McKeon (D, West Orange). For the 2014-2015 Session, the 28th District of the New Jersey Legislature is represented in the State Senate by Ronald Rice (D, Newark) and in the General Assembly by Ralph R. Caputo (D, Belleville) and Cleopatra Tucker (D, Newark). The 29th District of the New Jersey Legislature is represented in the State Senate by Teresa Ruiz (D, Newark) and in the General Assembly by Eliana Pintor Marin (D, Newark) and L. Grace Spencer (D, Newark). The 34th District of the New Jersey Legislature is represented in the State Senate by Nia Gill (D, Montclair) and in the General Assembly by Thomas P. Giblin (D, Montclair) and Sheila Y. Oliver (D, East Orange). The 40th District of the New Jersey Legislature is represented in the State Senate by Kevin J. O'Toole (R, Cedar Grove) and in the General Assembly by Scott Rumana (R, Wayne) and David C. Russo (R, Ridgewood). ^ a b c d Snyder, John P. The Story of New Jersey's Civil Boundaries: 1606-1968, Bureau of Geology and Topography; Trenton, New Jersey; 1969. p. 125. Accessed June 6, 2012. ^ a b Essex County, NJ, National Association of Counties. Accessed January 20, 2013. ^ DP1 - Profile of General Population and Housing Characteristics: 2,010 Demographic Profile Data for Essex County, New Jersey, United States Census Bureau. Accessed January 21, 2,013. ^ a b PEPANNRES: Annual Estimates of the Resident Population: April 1, 2010 to July 1, 2014 - 2014 Population Estimates for New Jersey, United States Census Bureau. Accessed May 10, 2015. ^ a b c d e DP-1 - Profile of General Demographic Characteristics: 2000 Summary File 1 (SF 1) 100-Percent Data for Essex County, New Jersey, United States Census Bureau. Accessed June 6, 2012. ^ NJ Labor Market Views, New Jersey Department of Labor and Workforce Development, March 15, 2011. Accessed October 4, 2013. ^ a b New Jersey: 2010 - Population and Housing Unit Counts; 2010 Census of Population and Housing at the Wayback Machine (archived July 31, 2013), p. 6, CPH-2-32. United States Census Bureau, August 2012, backed up by the Internet Archive as of July 31, 2013. Accessed October 3, 2013. ^ 250 Highest Per Capita Personal Incomes of the 3113 Counties in the United States, 2009 at the Wayback Machine (archived July 22, 2011), Bureau of Economic Analysis, backed uo by the Internet Archive as of July 22, 2011. Accessed September 9, 2012. ^ Kane, Joseph Nathan; and Aiken, Charles Curry. The American Counties: Origins of County Names, Dates of Creation, and Population Data, 1950-2000, p. 95. Scarecrow Press, 2005. ISBN 0810850362. Accessed January 21, 2013. ^ a b GCT-PH1: Population, Housing Units, Area, and Density: 2010 - County -- County Subdivision and Place from the 2010 Census Summary File 1 for Essex County, New Jersey, United States Census Bureau. Accessed June 6, 2012. ^ Italian Communities, EPodunk. Accessed October 4, 2013. ^ About Us, The Mall at Short Hills. Accessed May 10, 2015. ^ Parrillo, Rosemary. " The Locations", The Star-Ledger, March 4, 2001. Accessed October 4, 2013. ^ Census 2010 U.S. Gazetteer Files: New Jersey Counties, United States Census Bureau. Accessed May 10, 2015. ^ a b Monthly Averages for Newark, New Jersey, The Weather Channel. Accessed August 25, 2014. ^ State & County QuickFacts for Essex County, New Jersey, United States Census Bureau. Accessed May 10, 2015. 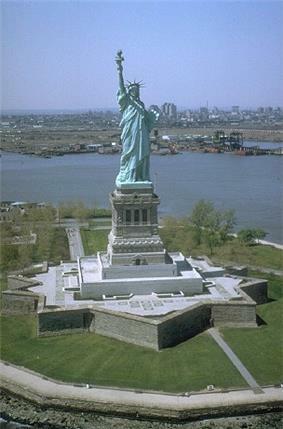 ^ U.S. Census Bureau Delivers New Jersey's 2010 Census Population Totals, United States Census Bureau, February 3, 2011. Accessed June 6, 2012. ^ Jewish Population in the United States, 2002 at the Wayback Machine (archived February 13, 2006), National Jewish Population Survey. Accessed May 11, 2006. ^ a b c DP-1 to DP-4 from Census 2000 for Essex County, New Jersey at the Wayback Machine (archived July 6, 2008), United States Census Bureau, backed up by the Internet Archive as of July 6, 2008. Accessed October 4, 2013. ^ DP-2 - Profile of Selected Social Characteristics: 2000 from the Census 2000 Summary File 3 (SF 3) - Sample Data for Essex County, New Jersey, United States Census Bureau. Accessed September 30, 2013. ^ DP-3 - Profile of Selected Economic Characteristics: 2000 from Census 2000 Summary File 3 (SF 3) - Sample Data for Essex County, New Jersey, United States Census Bureau. Accessed September 30, 2013. ^ QT-P13 - Ancestry: 2000 from the Census 2000 Summary File 3 (SF 3) - Sample Data for County Subdivisions in Essex County, New Jersey, United States Census Bureau. Accessed September 30, 2013. ^ a b c Essex County Elected Officials, Essex County Clerk, February 2012. Accessed October 4, 2013. 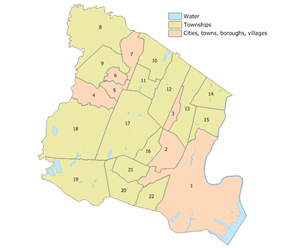 ^ 2013 County Data Sheet, Essex County. Accessed August 25, 2014. ^ Essex County Executive, Essex County. Accessed June 6, 2012. ^ Essex County Freeholders, Essex County, New Jersey. Accessed October 4, 2013. ^ Freeholder President / At Large, Blonnie R. Watson, Essex County, New Jersey. Accessed October 4, 2013. ^ Vice President / At Large, Patricia Sebold, Essex County, New Jersey. Accessed October 4, 2013. ^ Freeholder At Large, Rufus I. Johnson, Essex County, New Jersey. Accessed October 4, 2013. ^ Freeholder At Large, Gerald W. Owens, Essex County, New Jersey. Accessed October 4, 2013. ^ Freeholder District 1, Rolando Bobadilla, Essex County, New Jersey. Accessed October 4, 2013. ^ Freeholder District 2, D. Bilal Beasley, Essex County, New Jersey. Accessed October 4, 2013. ^ Freeholder District 3, Carol Y. Clark, Essex County, New Jersey. Accessed October 4, 2013. 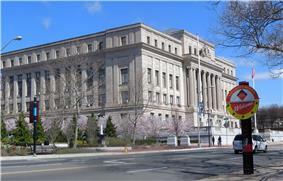 ^ Freeholder District 4, Leonard M. Luciano, Essex County, New Jersey. Accessed October 4, 2013. ^ Freeholder District 5, Brendan W. Gill, Essex County, New Jersey. Accessed October 4, 2013. ^ Essex County 2012 General Election - Unofficial Results November 6, 2012, Essex County Clerk. Accessed October 4, 2013. ^ 2012 Congressional Districts by County, New Jersey Department of State Division of Elections. Accessed October 4, 2013. ^ Plan Components Report, New Jersey Department of State Division of Elections, December 23, 2011. Accessed October 4, 2013. ^ 2011 Legislative Districts by County, New Jersey Department of State Division of Elections. Accessed October 4, 2013. ^ District 26 Legislators, New Jersey Legislature. Accessed February 18, 2014. ^ Legislative Roster 2014-2015 Session, New Jersey Legislature. Accessed February 19, 2014. ^ District 28 Legislators, New Jersey Legislature. Accessed February 19, 2014. ^ a b Legislative Roster 2012-2013 Session, New Jersey Legislature. Accessed January 11, 2012. ^ New Jersey: Presidential County Results - 2008, The New York Times. Accessed June 6, 2012. ^ Garden State Parkway Straight Line Diagram, New Jersey Department of Transportation, January 1997. Accessed August 25, 2014. ^ Travel Resources: Interchanges, Service Areas & Commuter Lots, New Jersey Turnpike Authority. Accessed August 25, 2014. ^ Northeast Corridor, New Jersey Transit. Accessed June 20, 2014. ^ North Jersey Coast Line, New Jersey Transit. Accessed June 20, 2014. ^ Raritan Valley Line, New Jersey Transit. Accessed June 20, 2014. ^ Morristown Line, New Jersey Transit. Accessed June 20, 2014. ^ Montclair-Boonton Line, New Jersey Transit. Accessed June 20, 2014. ^ Newark Light Rail System Map, New Jersey Transit. Accessed June 20, 2014. ^ PATH System Map, Port Authority Trans-Hudson. Accessed June 20, 2014. ^ AirTrain Newark, Newark Liberty International Airport. Accessed June 20, 2014. ^ Home Page, Essex County Airport. Accessed June 20, 2014. ^ Home Page, Port Newark Container Terminal. Accessed June 20, 2014. ^ GCT-PH1: Population, Housing Units, Area, and Density: 2010 - County -- County Subdivision and Place from the 2010 Census Summary File 1 for Essex County, New Jersey, United States Census Bureau. Accessed August 25, 2014. The Port Authority Trans-Hudson (PATH) also operates out of Newark Penn Station. It has direct service to Harrison, Jersey City, and downtown Manhattan at the World Trade Center. With a free transfer, the PATH also provides service to Hoboken and downtown and midtown Manhattan, with stops in New York at Christopher Street, 9th Street, 14th Street, 23rd Street, and 33rd Street. The Newark Light Rail is completely contained within the county. It has 17 stations in Newark, Belleville, and Bloomfield and also operates out of Newark Penn Station. It is composed of two lines the Newark City Subway and the Broad Street Extension. As of 2010, the county had a total of 1,667.98 miles (2,684.35 km) of roadways, of which 1,375.06 miles (2,212.94 km) are maintained by the local municipality, 213.12 miles (342.98 km) by Essex County and 60.68 miles (97.65 km) by the New Jersey Department of Transportation and 19.12 miles (30.77 km) by the New Jersey Turnpike Authority. Essex County College is a 2-year community college that offers A.A., A.S., and A.A.S. degrees. 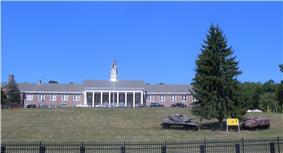 Essex County has five public and five private institutions. It formerly had another private college that closed in 1995. Law enforcement at the county level is provided by the Essex County Prosecutor's Office and the Essex County Sheriff's Office. The Essex County Police was completely absorbed by the sheriff's office by 2007. The Essex County College Police patrol the Essex County College Campus and satellite locations. In each of the last four elections the Democratic candidate received 69% or more of the county's vote.